After the holidays were over, I oh so wisely used my time changing things up around here. 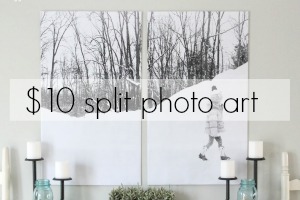 I made some quick and easy changes to decorate for January…and I love them all! 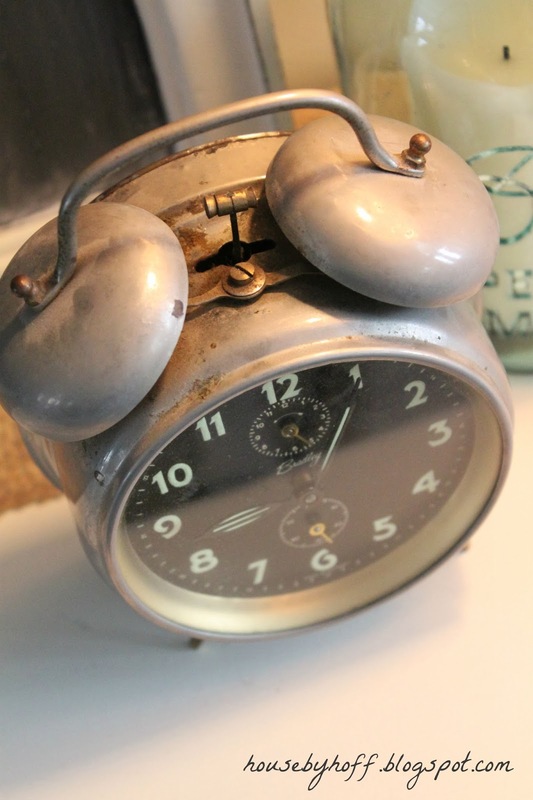 I thought I’d recap some of the projects and quick decor changes that have taken place recently…before I start decorating for Valentines day and change everything!! Do you love my new baskets? I got them at Meijer for $15 each! They came with the bottoms already painted. I’m obsessed. I love them. 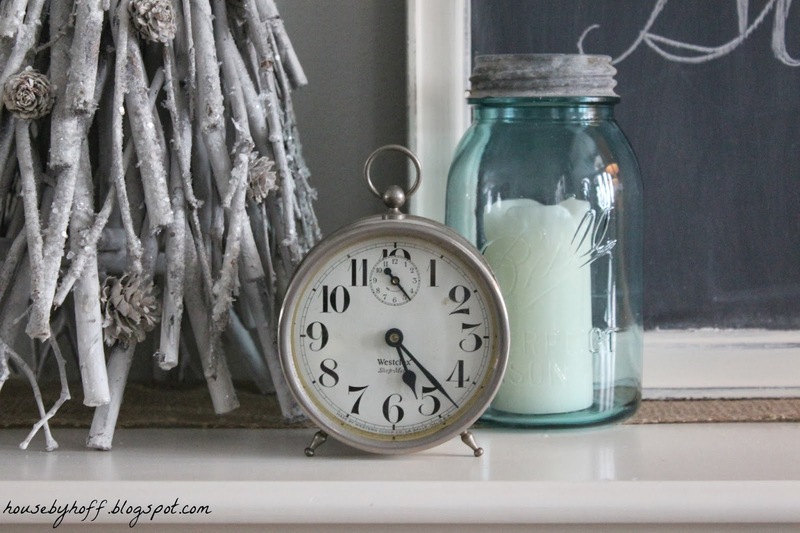 Read more about my January Mantel here. 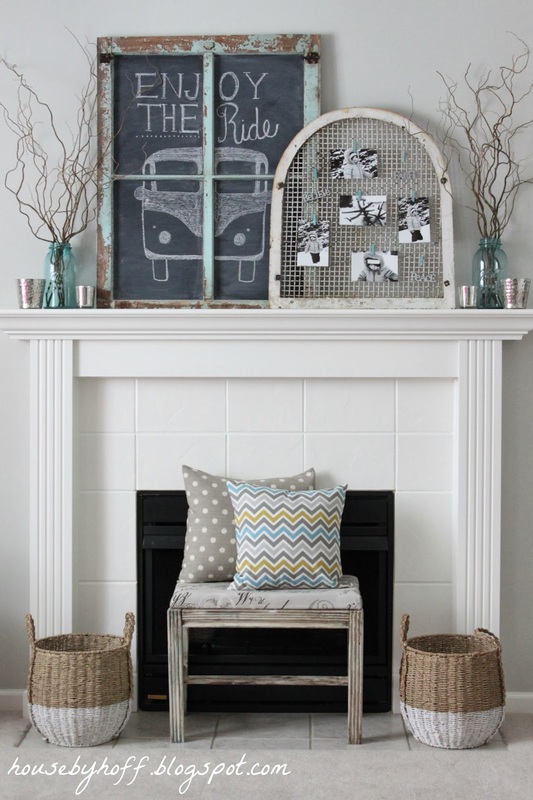 See my chalkboard window tutorial here. See more about my winter photo display here. 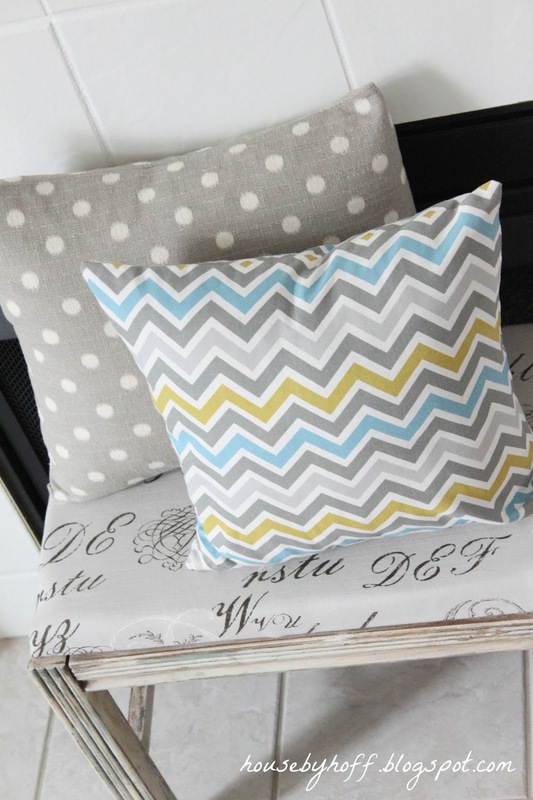 I’m not tired of my throw pillows. Yet. Miss L. got this adorable play kitchen from Santa this year. 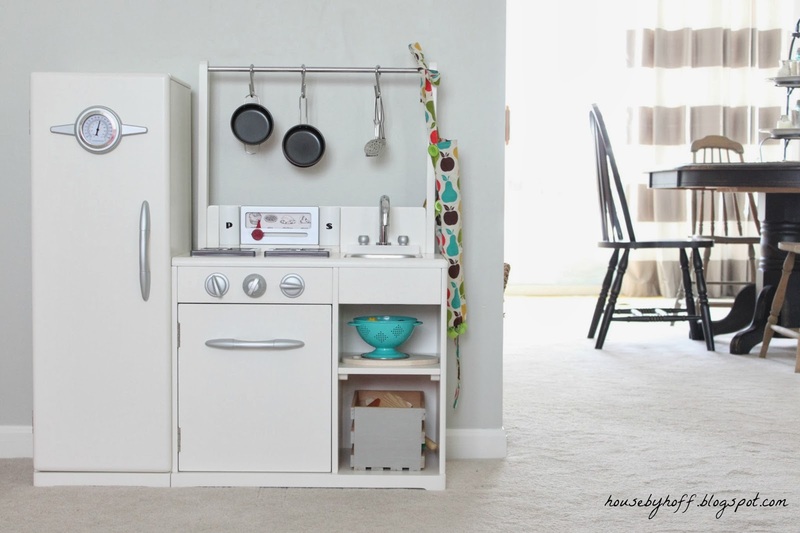 Santa knew that I wanted a play kitchen that wouldn’t look obnoxious in my living room. 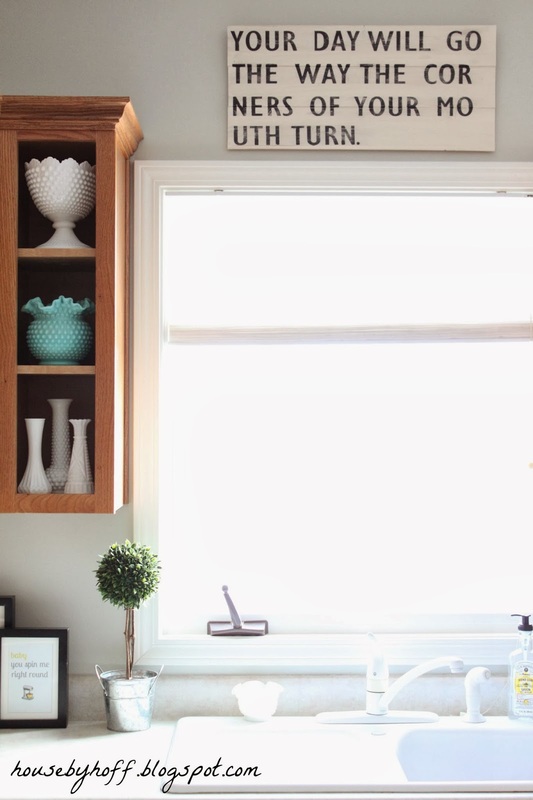 The kitchen and the pots and pans are from Pottery Barn Kids…I love it all! My mom made this sweet little apron for Miss. L. So cute! 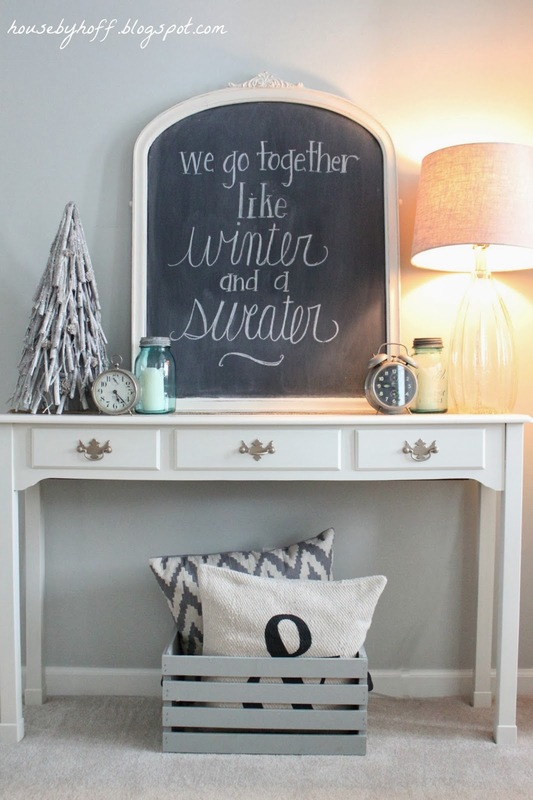 See more about my winter chalkboard and clock collection here. The back of our house looks the same, but different all at the same time. 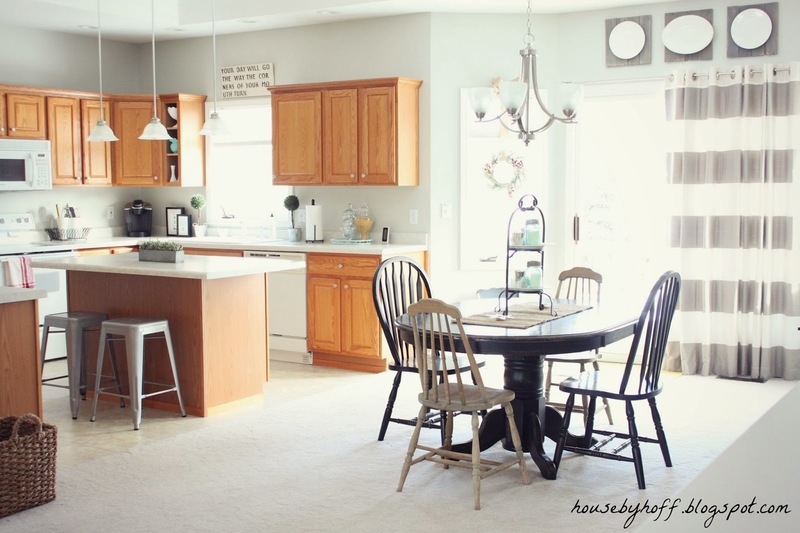 It will be a happy, happy day when I can paint those cabinets, replace the countertops, and get the wood floors of my dreams. Some day my dreams will come true. 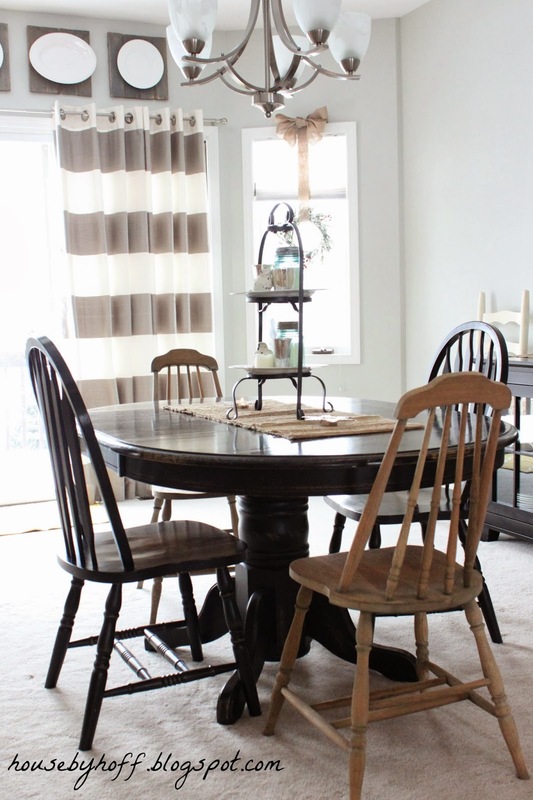 See my post about mixing and matching dining room table chairs here. 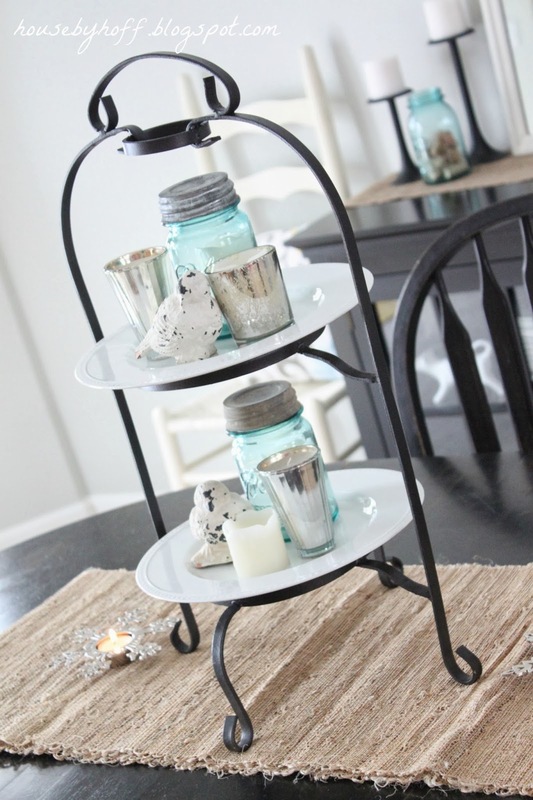 I’m in love with this tiered plate stand. I found it at Goodwill and spray painted. Love. It. Ah, yes. My kitchen sign. It just sums life up, doesn’t it? Read more about it here. I don’t have much to say about this. I just really liked the picture. I found this succulent planter at Home Goods. It’s perfect for me, because it’s not real. I manage to kill just about anything green. It’s a shortcoming of mine. Previous Post: « Photography Wednesday: What Makes A Good Black and White? HA! 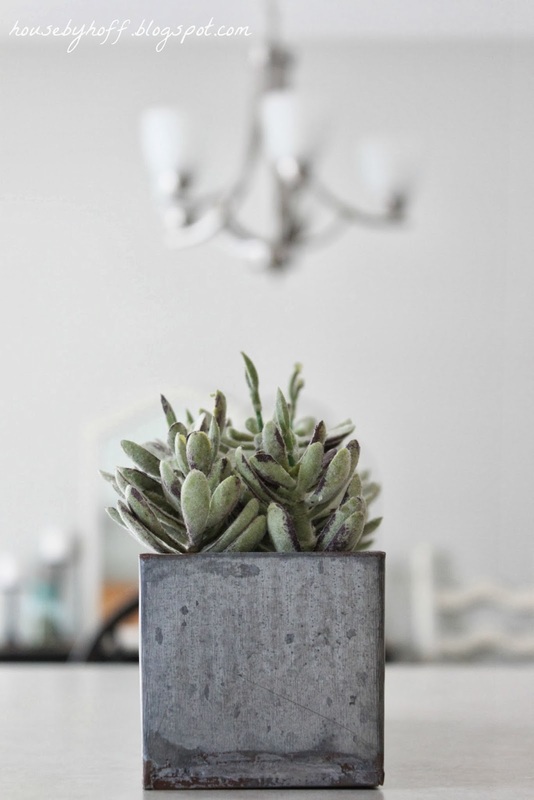 I can’t keep house plants alive either. Outside ones, ok… but not indoors. Well, I do have one little Jade plant that seems to keep kicking. Not sure how. 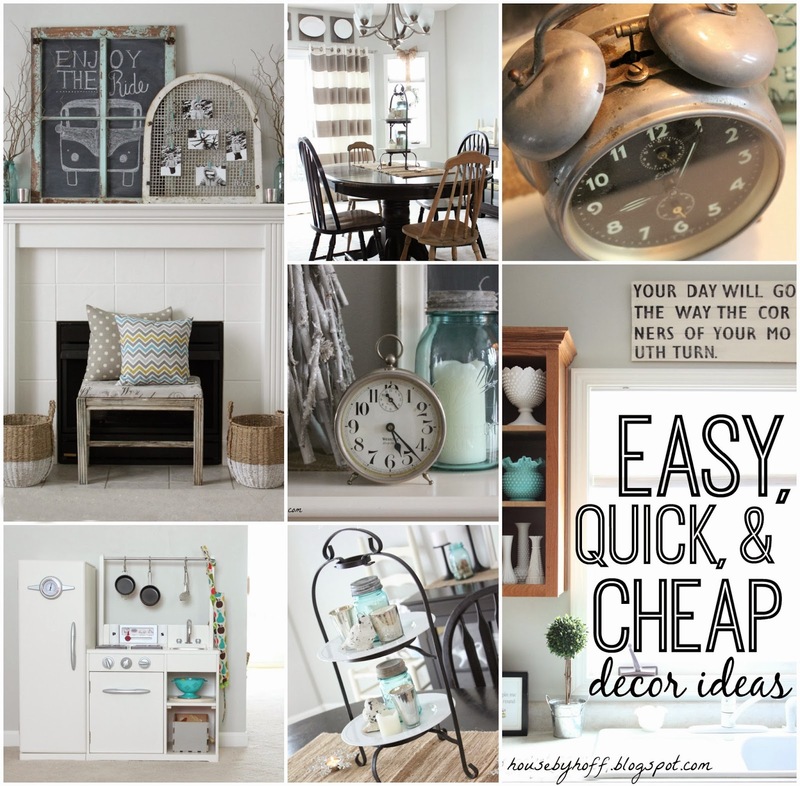 Great month of decor April- soft and calm and pretty. I just love the two tier plate stand on the table. 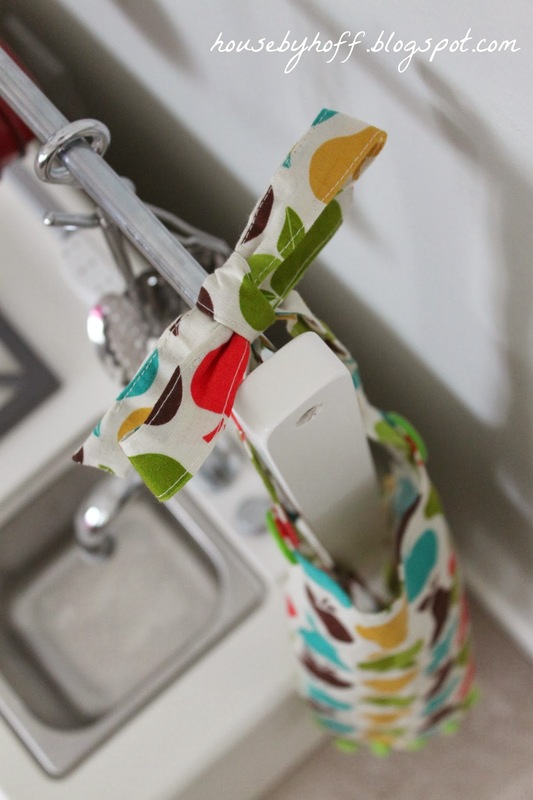 Very functionable and fashionable! 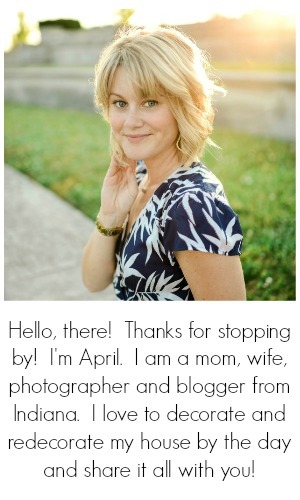 Just came across your blog, and I am hooked! 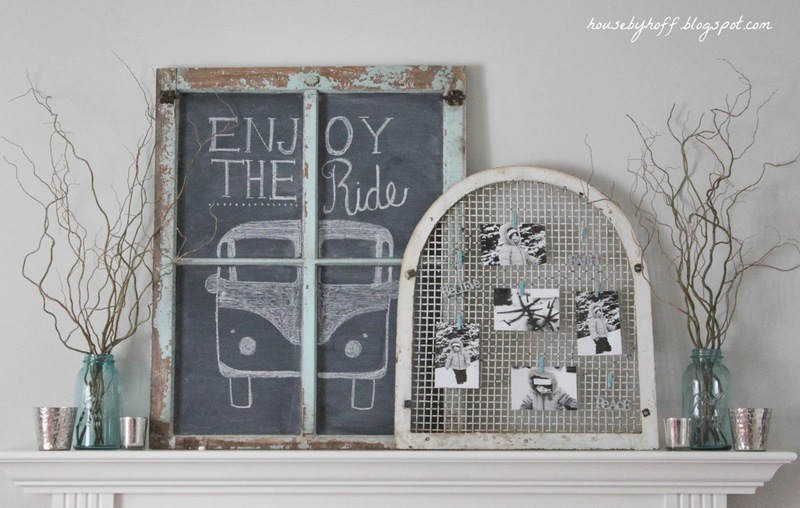 Your style is just like mine – especially the VW bus chalkboard idea (my hubby would appreciate that as he owns a ’75 Bus). :). 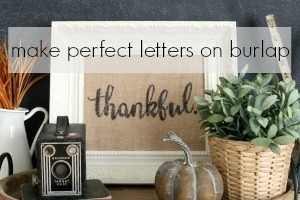 It is nice to know that it is possible to balance work, family, and home decorating on a budget – I am also a mom, wife, former fifth grade teacher, and current Title 1 reading specialist who finds it tough to juggle it all! Thanks for the inspiration! !